Rapid heartbeat. 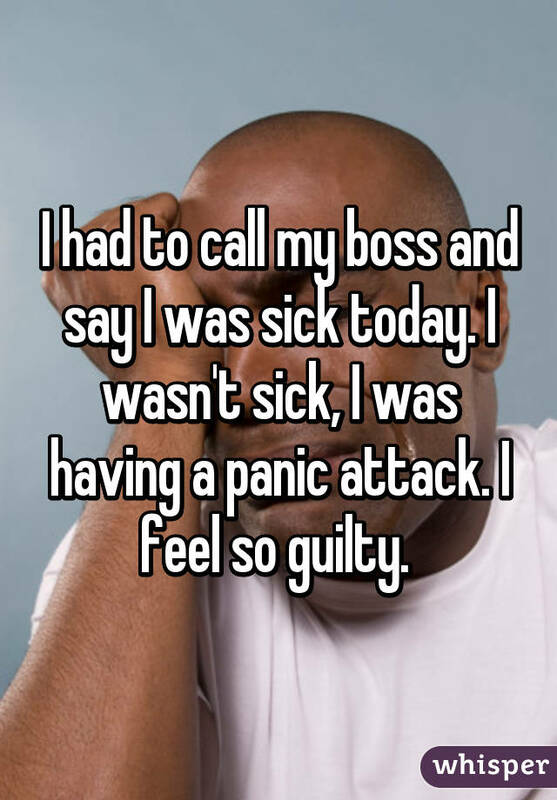 Nausea. Sweating. 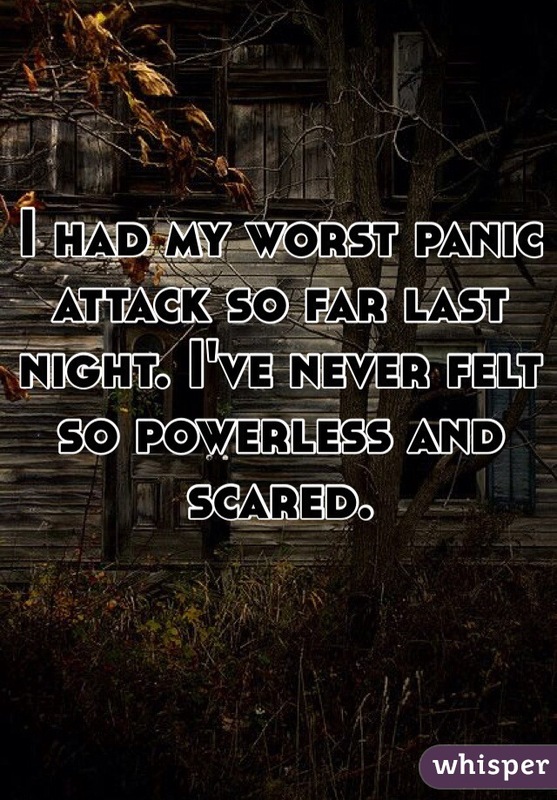 If you've ever experienced a panic attack, you know how scary and paralyzing a feeling it can be. Rapid heartbeat. 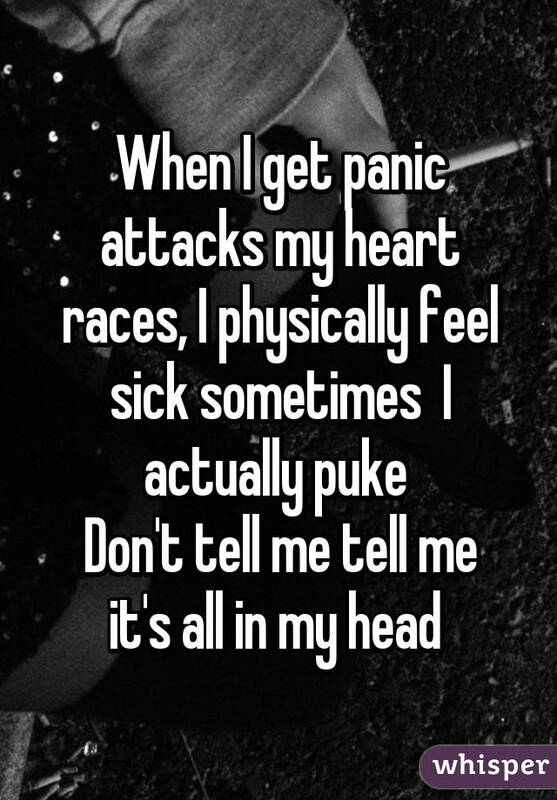 Nausea. Sweating. 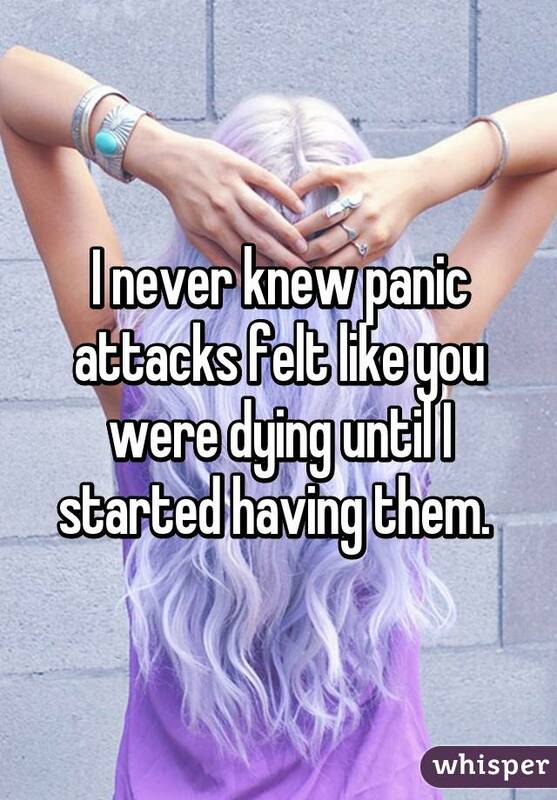 If you've ever experienced a panic attack, you know how scary and paralyzing it can be. 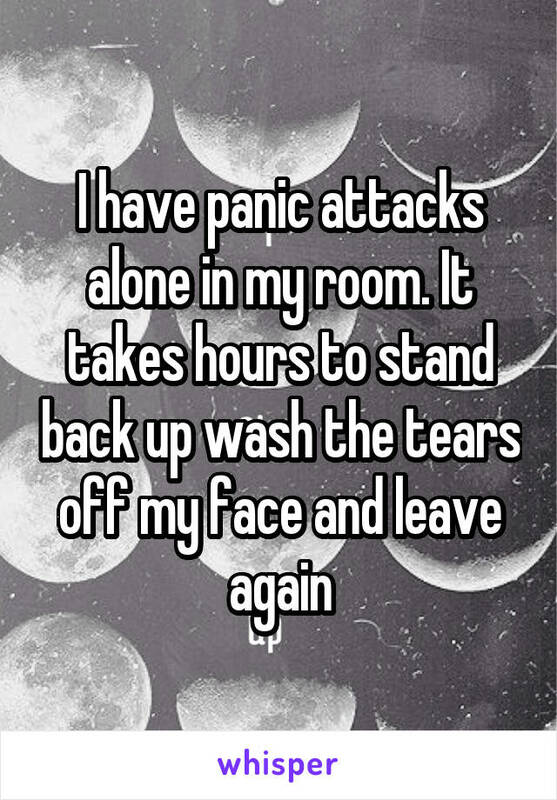 Last month, a 22-year-old woman from the UK named Amber Smith made headlines when she shared Facebook photos of herself before and after a panic attack. 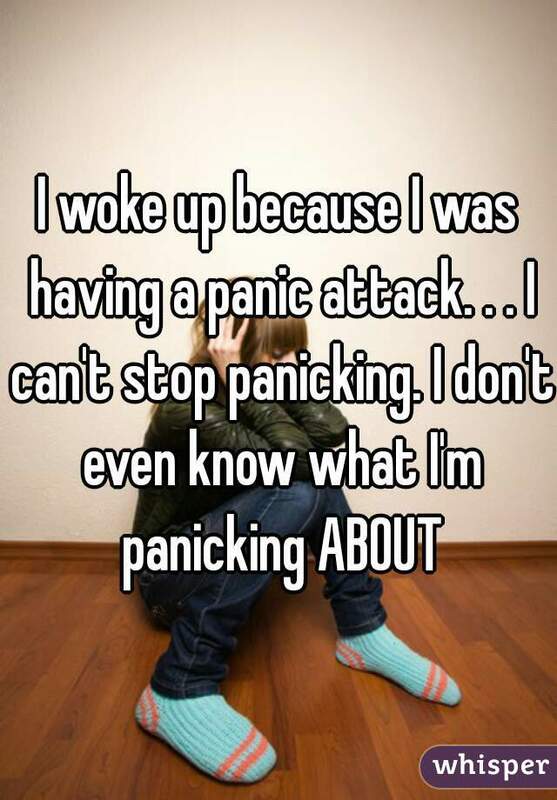 In the first image, she's "[d]ressed up, make up done, filters galore"—but the second image shows her looking frightened with eyes red from crying. 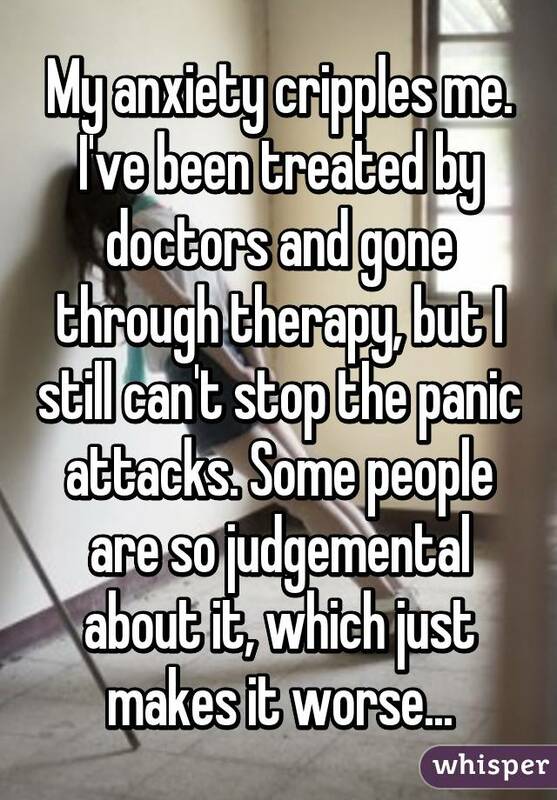 Smith explained that she posted the photos to fight the stigma that surrounds mental health issues. 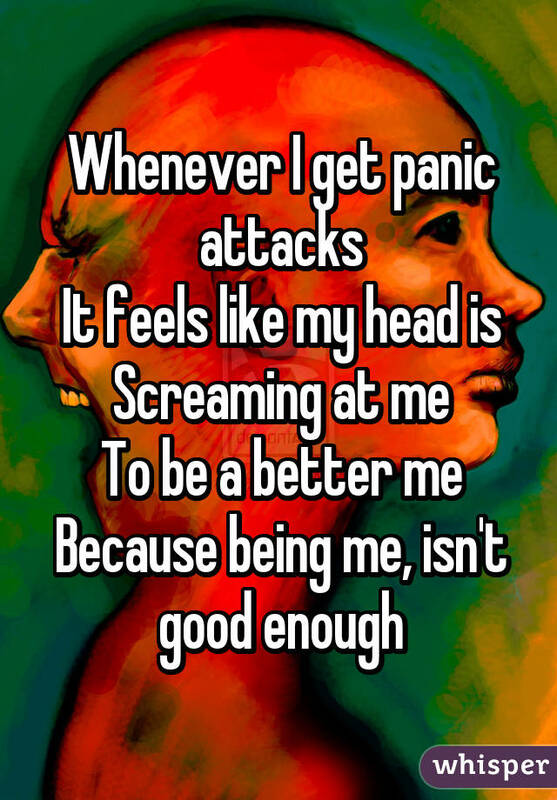 "I've been battling with anxiety and depression for years and years," she wrote. 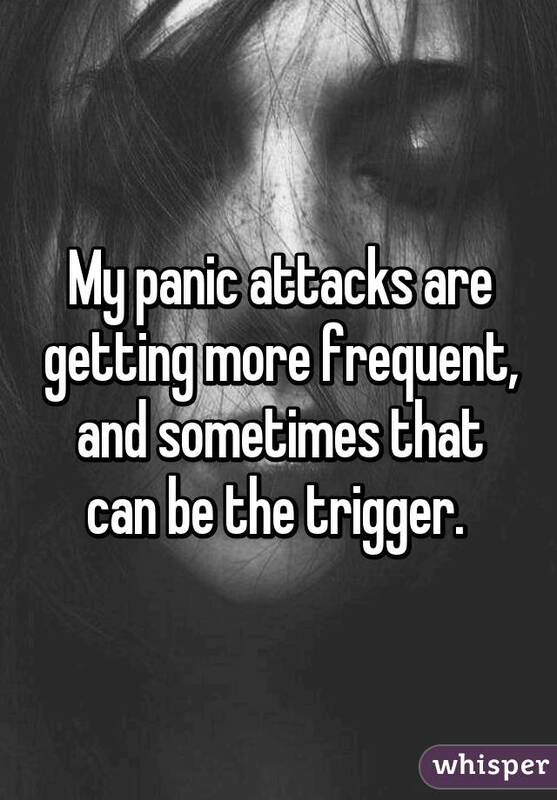 "And there's still people that make comments like 'you'll get over it', 'you don't need tablets, just be happier', 'you're too young to suffer with that.'" 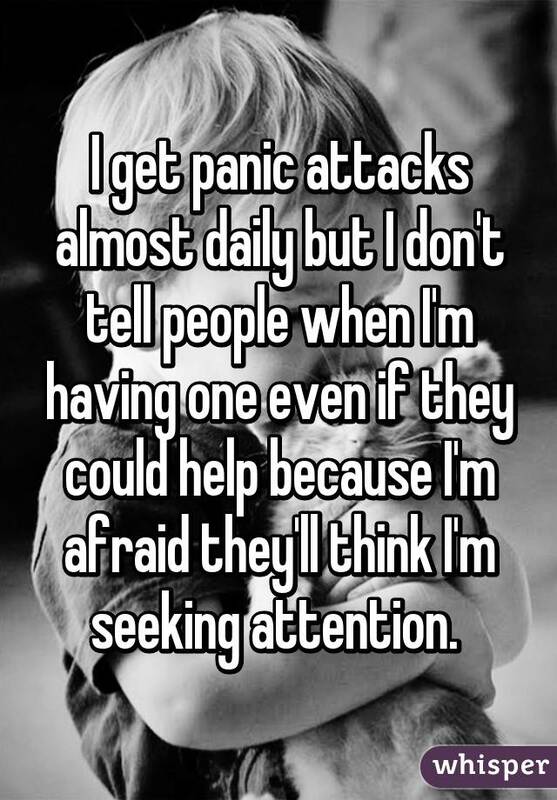 If you too have panic disorder, which is a psychiatric condition in which people have recurring panic attacks (also known as anxiety attacks), you are not alone—it affects about 2.4 million people in the U.S., according to the National Alliance on Mental Illness. 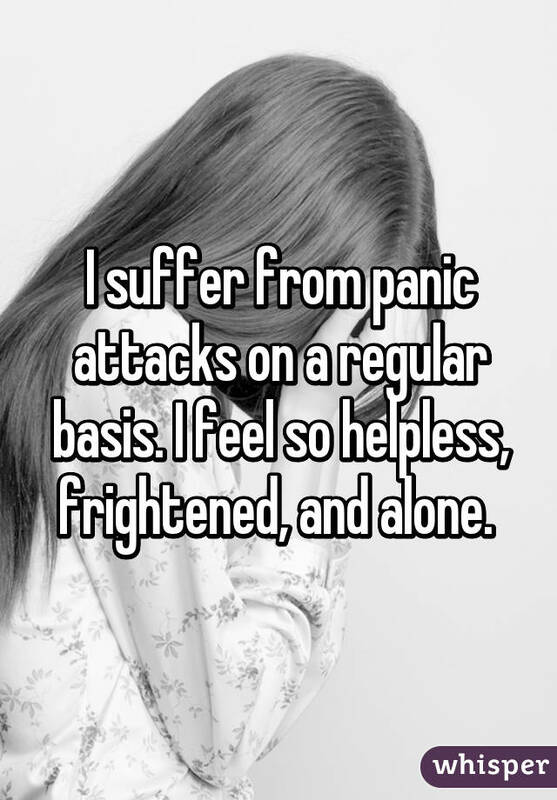 On Whisper, the app that lets you share anonymous messages, many people have opened up about their struggle with this debilitating form of anxiety. 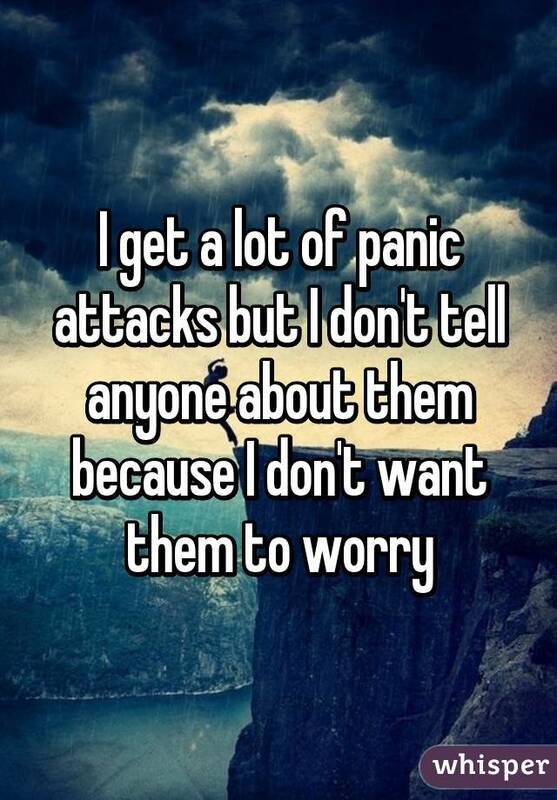 Here, 14 comments that capture what it's really like. 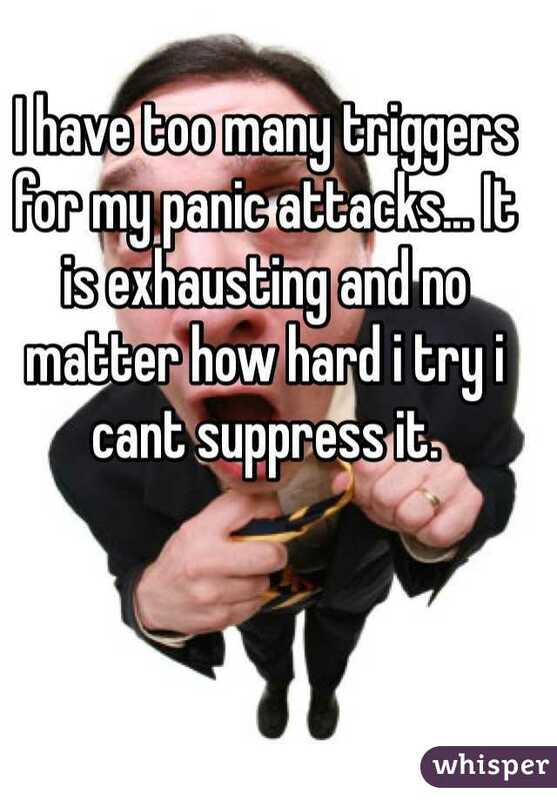 These images came from the Whisper app.